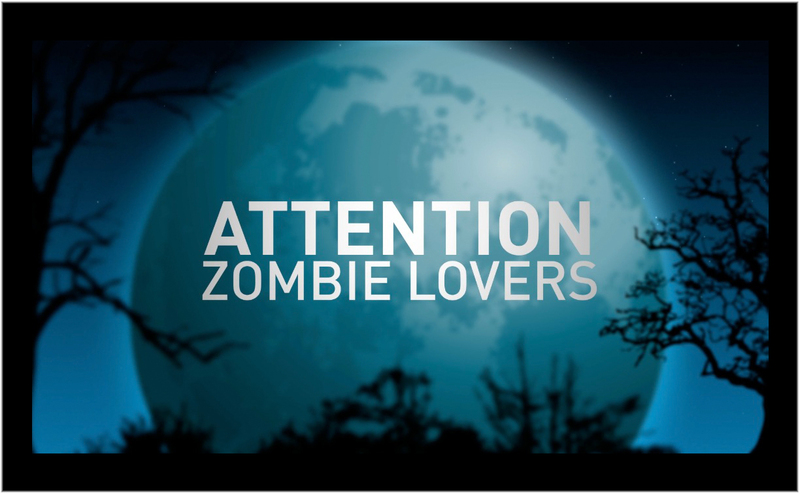 When it comes to matters of the Zombie Apocalypse, fans of AMC’s The Walking Dead are extremely passionate about catching the latest episodes on Sunday nights. 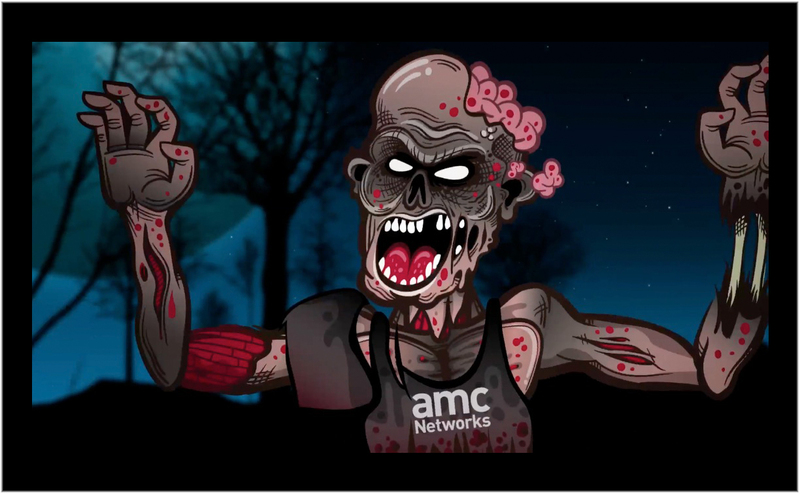 So when the network aired a commercial spot at the beginning of Season 5, Episode 4 threatening that “AMC may go black” due to a contract dispute with DIRECTV, a Twitter firestorm erupted that nearly drowned out the storyline for the next half hour. 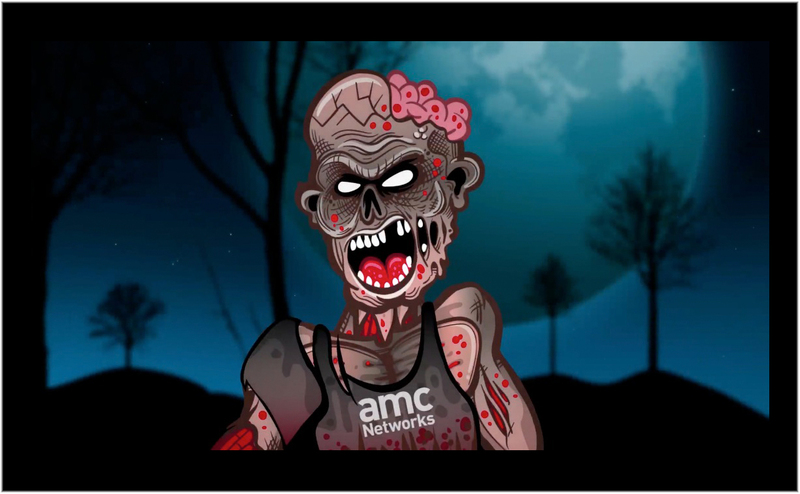 DIRECTV fired back in the second half of the episode with a cartoon zombie whose head explodes because the threat of interrupted service isn’t real. 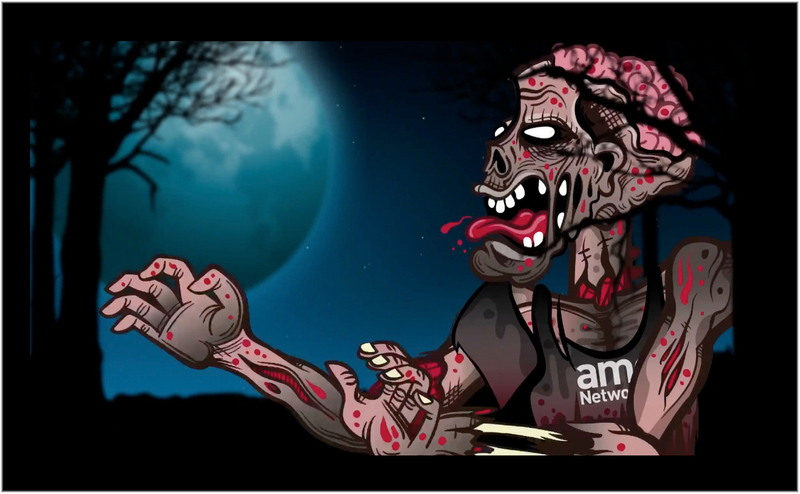 Miami Beach’s Lacko Illustration provided the comic relief with his frighteningly funny zombie design for JxTwo, Inc. under the creative direction, design and production of Jeanne Le Blanc and Jeremy Alcock. 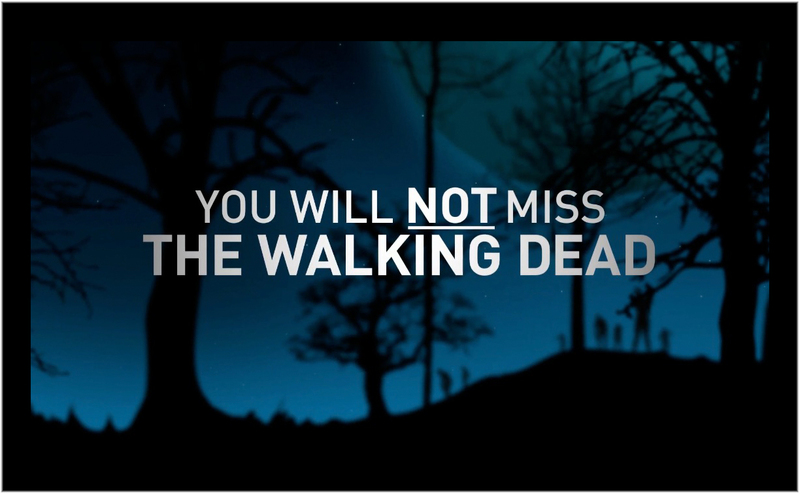 The DIRECTV commercial assures Walking Dead fans that AMC is only trying to scare them and that there will be no break in the undead action. “We intend to renew our AMC partnership at a price that is fair to our customers. It really is a no-brainer.” And with that, the zombie’s brains pop out. The DIRECTV spot impacted the show’s many fan discussion boards and shifted the dialogue on Twitter. However, the threat of a contract dispute made more waves in the press the next day than the recap of the show’s gory narrative. Networks and satellite providers taking their fight straight to the audience during a top-rated show proved more frightening than the bite of a walker, but for Lacko and the JxTwo agency, it’s all in good fun. Lacko has a dark and scary history with the SciFi and Horror genre having worked on GODZILLA graphics for the ADOBE MAX Creativity Conference in Los Angeles, DC Shoes Musical Monster Skate tees, Hasbro Toys Monstrocity Cuponk Collection and recording artist ANDY GRAMMER’s 8-bit inspired tour tees. He provided art for YouTube’s GEEK WEEK and the FEARNET.com Fun House plus the FANGORIA CHAINSAW AWARDS, an annual celebration of the year’s best horror movies. See more of his monsterous work at http://www.lackoillustration.com and Altpick.com. This entry was posted in Altpick, Art, Branding, Illustrations and tagged adobe max creativity conference, AMC, Andy Grammer, Apocalypse, cartoon, DC shoes, Direct TV, DIRECTV, fangoria chainsaw awards, fearnet.com, fun house, geek week, godzilla, hasbro toys, horror genre, Inc., Jeanne Le Blanc, Jeremy Alcock, john lacko, JxTwo, Lacko Illustration, Los Angeles, Miami Beach, monstsrocity cuponk collection, movies, musical monster skate tees, SciFi, The Walking Dead, Zombie Lovers, Zombies. Bookmark the permalink.